Freeview has hit a major landmark, with more than one million Freeview HD televisions and set top boxes sold. 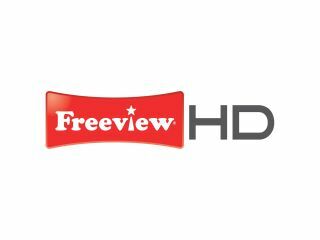 Freeview believes that 642,000 homes are now using Freeview HD kit – although it is not clear how many of those people are actually using the HD service or if it is just built into their new television. A major sales spurt in December boosted Freeview HD to a current total of 1.2 million – with Freeview televisions accouting for 22 per cent of the iDTV market in December. With HD becoming a major selling point for people in the UK, Freeview HD offers a subscription free option for those who do not want a satellite dish or cable connection. Currently Freeview HD offers four HD channels – BBC One HD, BBC HD, ITV 1HD and 4HD. Freeview+HD PVRs also sold well, outselling standard Freeview boxes two to one and showing a 118 per cent increase. Ilse Howling, Freeview's Managing Director says: "Reaching this milestone within the first year of launching Freeview HD is a great achievement. "We know from talking to Freeview viewers that having high definition is becoming the standard when considering what type of equipment to buy. "As Freeview HD continues to roll out to new areas of the UK this year, it's exciting that Freeview can meet this need by offering quality HD channels without a subscription."